If you are looking for luxury homes in North Carolina, you could not have landed on a better site. The Mountain Group at Premier Sotheby’s International Realty features a comprehensive list of properties for sale in a variety of niche markets. 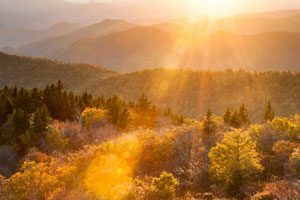 Within these pages, you’ll find homes for sale from Asheville, through the High Country, to the Tennessee/Virginia area. These former regions represent North Carolina Mountain living at its finest. Luxury is a given when it comes to some of these homes for sale. Start browsing today. It’s one thing for a seller to advertise their property as luxury but another for the buyer to endorse it. The definition of luxury, as far as we are concerned, is determined by each one of our clients. We’ve seen it vary from purchase to purchase. Once we’re on the same page as you, we’ll introduce you to luxury like you’ve never seen. 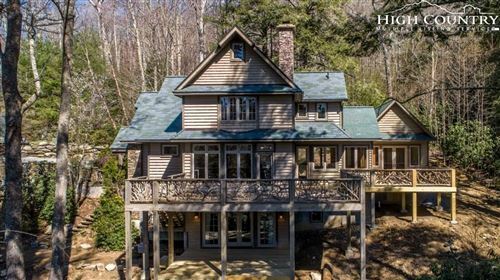 Whether it’s on a golf course, near a ski resort, or under the Blue Ridge Parkway, behind a security supervised gate or down a winding driveway, the upscale property you’ve always dreamed of awaits you. There are plenty of communities to choose from, if that’s your idea of home, neighborhoods that define southern charm, and bits and pieces of land for sale in some of the most picturesque settings of the state. You’ll find it all right here. Just a few clicks of your mouse and you could be looking at the home of your future. Our services don’t stop as soon as you find the home you want; often times, that’s where they begin. In fact, this is the point where our experience comes in handy most of all. We’re committed 100% through the end. We’ll be looking forward to giving you the keys just as much as you look forward to receiving them. Until then, we’ll work hard to conquer the market of luxury homes of North Carolina on your behalf and to your benefit.